Former IPS officer Kiran Bedi will take oath as the Lt Governor of Puducherry on 29 May. The post has been lying vacant since the exit of Veerendra Kataria in July 2014. Bedi will succeed Lieutenant General (Retd) Ajay Kumar Singh, the LG of Andaman and Nicobar Islands, who has been holding the additional charge of Puducherry so far. On 28 May, the Bharatiya Janata Party (BJP) leader said that her focus at the moment is to put the Union Territory on the tourist map of India, as it is a great destination and deserves no less attention than Goa, or any other popular tourist spot in the country. "It's all about taking Puducherry to greater prosperity and putting it on the tourist map of India. Puducherry deserves it, no less than Goa. 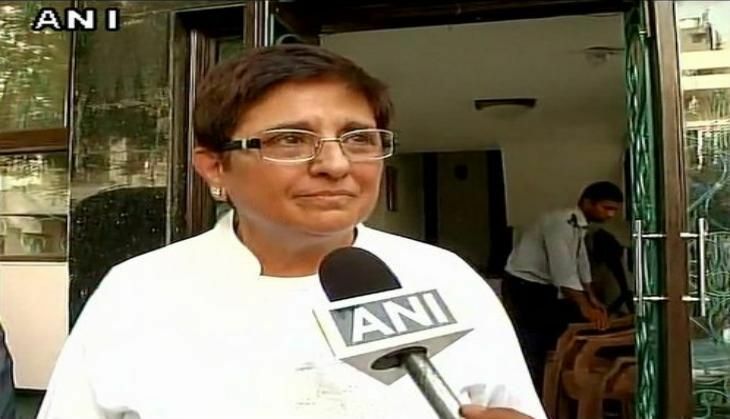 Puducherry was part of my Union Territory cadre as a police officer and I always longed to come here, because Puducherry was a great destination," Bedi, who was the BJP's chief ministerial face in the 2015 Delhi Assembly elections, told ANI. Talking about her priority as the Lt Governor of Puducherry, Bedi said, "My priority will be bottom-up approach. I would like to make a constable and a school teacher feel that he or she is the most important." "We are here to carry forward the current momentum of development in all areas with integrity, fairness and no assurances in false," she added. Bedi, the first woman IPS officer in the country, is a recipient of Ramon Magsaysay Award for her contribution in building positive relationship between Police and the people. She is the fourth woman incumbent in Puducherry Raj Nivas.